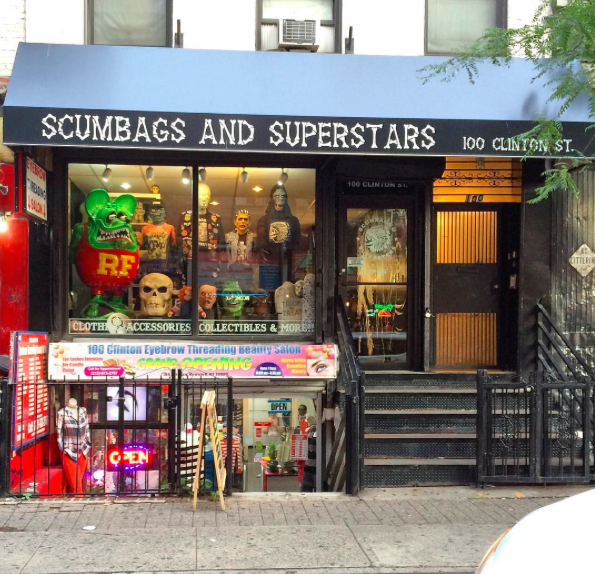 The shop/brand that sells clothing and a variety of B-movie monster pins, patches and "everything weird" at 100 Clinton St. between Rivington and Delancey is closing on April 22. I want to thank everyone that has supported the store over the years. All the regulars & neighborhood people that come [through]. First in Brooklyn & then when we moved into Manhattan to the Lower East Side. It was a wild ride! And a lot of fun times. But as you know New York City has changed drastically. And we've been doing the impossible for years now. We weren't even supposed to be here this long. But we persevered. We are a very small independent brand. Run by me & a couple of buddies. And for many reasons we will have to close up the store in the next few weeks. We want everyone to come by the shop at least one last time & say goodbye before we close. There'll be a going away party all weekend on April 21st & 22nd for our final last 2 days. Noon to around 10 PM each day. We hope all our friends & supporters can make it out & party with us! There will be free booze & food & lots of friendly weirdos. This is the end of the shop. But not the end of brand by any means. We are traveling every month this year to conventions. The shop will also continue on with its online business. 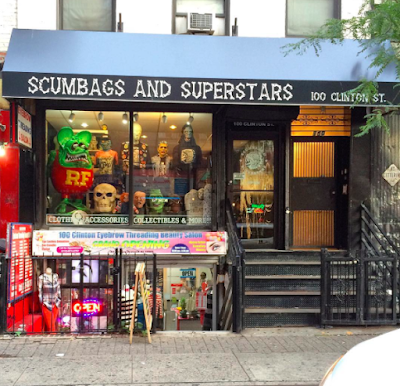 Scumbags & Superstars, which got its name from the Talking Heads song "Lifetime Piling Up," started in Bushwick and eventually moved to the LES in early 2016. After its debut in Brooklyn in late 2014, the store came under fire for what some people considered the offensive use of Native American iconography in its logo.